The Caribbean Connection provides background music as well as featured entertainment, and performs a variety of music from calypso, to adult contemporary, to theme tunes from various eras. The band is frequently booked to create a festive atmosphere at major sporting events and cultural festivals, as well as corporate functions and themed events. Highlights include performing at the Comrades Marathon, One Day Cricket Internationals, uShaka Marine World, The ICC and numerous corporate functions and weddings. Picture yourself on a palm-lined tropical beach, with waves gently lapping at your feet as you sip cocktails and listen to the soothing sounds of a steel drum band playing the melodic calypso tune, “Yellow Bird”… Or better still, how about dancing a steamy salsa to “Living Lavida Loca” or travelling back in time with “Twist Again” or “Rock around the Clock”? Bryan Clarke and his steel drum band Caribbean Connection provides the soundtrack for this image! 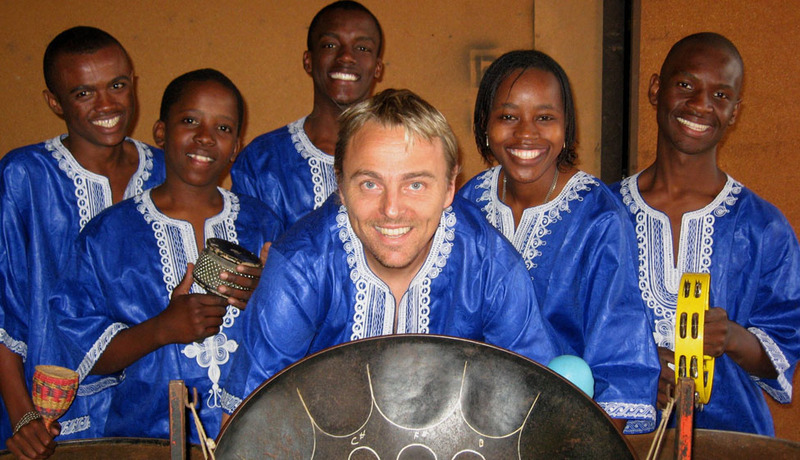 This multi-talented band will help you party the night away with a selection of timeless classics and hot new rock, taking you on a magical journey with the unforgettable and unique sound of steel drum music.